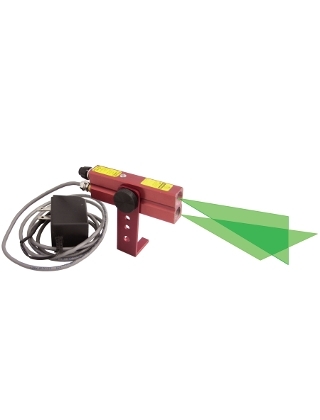 The Johnson's 40-6232 Green Industrial Alignment Cross-Line Laser features cylindrical lens technology and it's solid glass optical system draws a continuous line at any distance. Includes two lasers and line generators in one case which creates two solid lines that intersect. The laser diode is rated for 10,000 hours of operation for 5 years of normal operating conditions. Used for marking positioning, aligning and establishing orientation and aiming. This laser housing is hard anodized, water proof and suitable for harsh environments. Includes 110V AC, mounting bracket and instruction manual. Dimensions: 4" x 0.75" x 1.375"